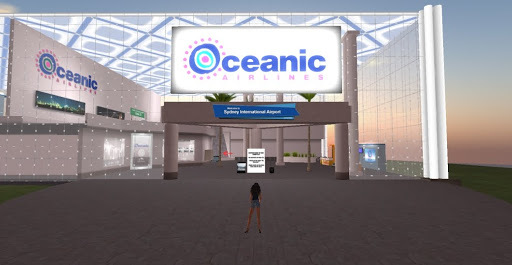 ← Mainlands or What’s Wrong With Second Life? I arrived in front of the terminal, was there really a Lost Island? I had my picture taken between Jack & Kate. Wow, I know they aren’t hooked up in real life but I think they are a great looking couple. The flight ended the way I feared with Oceanic 815 broken apart on the island. The beach campsite was as I remembered it, but all the cast members were gone. I did find Sawyer’s little tent with whiskey bottles scattered around. As I searched the forest, I discovered the entrance to the underground Dharma control station. 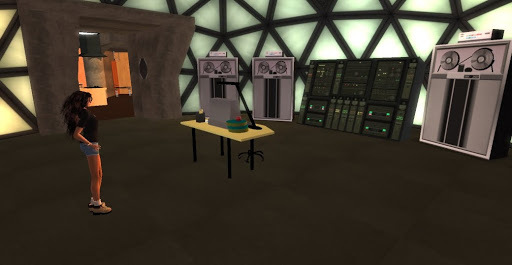 The passage led deep into the island and as I searched for the control room I kept wondering if I’d have to enter the codes into the computer. 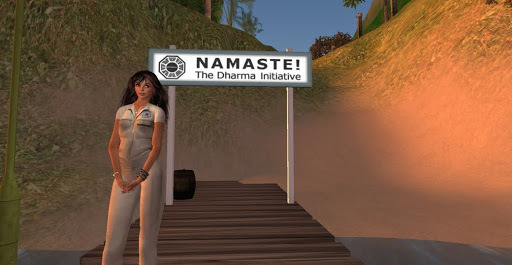 Then there it was, the Dharma computers that controlled the great force of the island. After a long hike thru the forest, I found the pier where the submarine is docked. I put on one of the free Dharma Initiative work uniforms to blend in, just in case. There are many more discoveries to be made on the Virtual LOST Island, but you’ll have to travel here for yourself to get that good Lost feeling again. 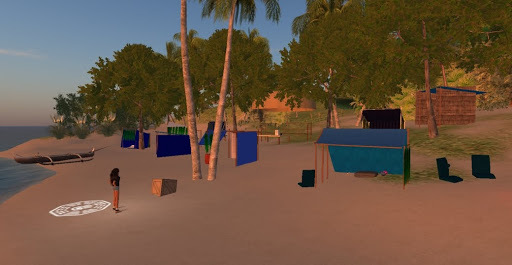 There’s also an SL-LOST blog and a blog for the Virtual LOST Island. It was sad in a way. The final season of Lost has come and gone, and I’m still mulling the many, many intricacies of the series and how it ended. I’ve avoided listening to or reading other points of view about the way the series ended. Someday I’ll explain my own point of view… as soon as I have one. This entry was posted in Exploring and tagged Exploring, Photography, Second Life. Bookmark the permalink.